We have no superstitious regard for times and seasons. Certainly we do not believe in the present ecclesiastical arrangement called Christmas: first, because we do not believe in the mass at all, but abhor it, whether it be said or sung in Latin or in English; and, secondly, because we find no Scriptural warrant whatever for observing any day as the birthday of the Savior; and, consequently, its observance is a superstition, because not of divine authority. (Charles Spurgeon, Sermon on Dec. 24, 1871). I truly believe that if we are learning from God we are in a constant state of learning things we didn’t know before and unlearning some things that we were taught that were not of Him – hence we are always growing deeper and deeper in our knowing God Himself and our relationship with Him becoming nothing short of miraculous and mind-blowing. 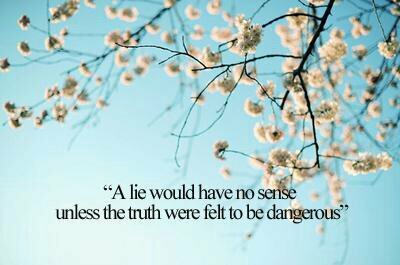 Yet to say that it is easy would be the worst kind of deception! God is simple and direct but there is a reason Yeshua called us to die to ourselves using such extreme terminology – followers of Yeshua are not called to easy being defined as comfy, carefree, trouble free, never taxing. We are told to come to Him because His “yoke is easy and His burden light” But the word easy here is not how the typical human mind defines easy. It is the kind of ease that comes from the difference of doing a new thing and having someone with you who has done it all before, and can guide you through it; thus making it not as hard as if we were to go out all on our own, not having the benefits of someone being able to tell us “nope that way is a dead end, don’t turn here, it looks like it may be easier to go that way but trust me, I’ve been that way and it’s looks are deceiving, this way is better”. Almost every single picture that was painted about God in what I was taught from youth to my mid-thirties has been completely changed by God, Himself over the last 12 years! Not all, but 90%. Some of which is due to what I did with what I was taught some because the teaching was simply not the whole truth. No blame is indicated here, it’s just a fact. It has happened to everyone and will continue. Adonai will continue to make sure He, Himself makes sure those who truly want the Truth shall find it right from His own right hand. I pray that the information that anyone decides to dig on here, that they may be kept and protected by Elohim and His glory be revealed! The quote by Spurgeon above was quite confounding to me! It was quoted in the second link below (Truth or Traditions) and took all of about two minutes to prove, sure enough Spurgeon said those very words and never did celebrate Christmas. I know that most the brother and sisters in Yeshua (Jesus) I know would be shocked to know that – as I was. We are called to study and unearth the truth, digging, testing and discerning at every turn. God never said “read the Word, He has rather said study, search out, meditate, feed on, lean on and depend upon the Word. His Word is not meant to be read like the newspaper; it only has life changing power for those who live it. Yeshua said “if you love Me you’ll keep my commandments.” putting His Words in the proper context; the Commandments He was referring to was the Old Testament content. The New Testament was not available to anyone at the time Yeshua or even those who wrote it and received the letters written by the disciples and apostles. This would come many many years later. So every time Yeshua and any of the New Testament writers referred to the Word of God, Scripture, the Word of Truth they are referring to that which Yeshua fulfilled (Old Testament) and if one wanted to know Him and serve Him, they needed to read about Him from where He began and showed up in the life of mankind from the beginning. We are highly favored of God to have the Word so full of Life with both the Old and New Testaments we enjoy today. But to focus only on the New and eliminate in any degree the Old we can not know the God who wrote the entire thing, created everything and did everything for us. 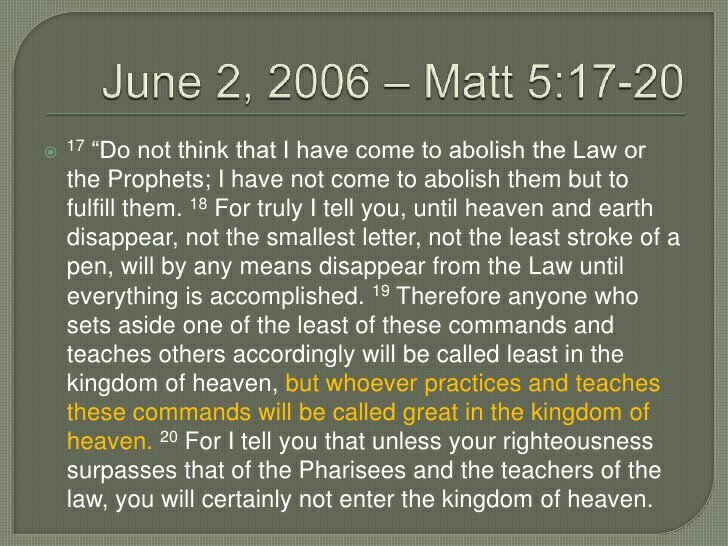 The Christian church today suffers most because it has stopped living the Word and keeping the instruction of God from the beginning. But also because we have become complacent about really knowing the Truth about everything we believe, everything we act on, everything that effects our integrity and more importantly reflects God’s! The changes in Sam and I’s walk with God are “radical” as some say, dramatic and extreme for sure. Yet the more we conform to the Image of His Son the more we are told by His own Words we will stand out and the “flow” of most of those around us will be against us; not tracking with. The signs Yeshua gave to us that prove we are truly following Him are delineating, dividing, separating… standing out most often unpopularly. Not doing what everyone else does just because we were taught that it was the way God says to, or because it feels good and right to us to do so. We are to see for ourselves, straight from God Himself, the what, why, how, and Who of everything we do and say we believe. Throughout all of history, those who thought they knew everything about God and followed Him have been challenged by Him to seek the truth, dig and see that what they thought was true was not. From the garden of eden to the present day. .. satan distorts the Truth. That’s his job, and he is perfect at it! As perfect at distortion as God is at its invention and clarification. There is no such thing as a follower who never falls prey and becomes deceived. Those who listened at the very feet of Jesus, being spoken to in plain direct speech still did not understand what He said and the very Words of God they “cut their teeth on” until after Yeshua had risen! And even then it took every breath they breathed on earth of taking what “they thought they knew” to the feet of Yeshua every day often still being corrected and thereby challenged to change the track they were traversing. How can we ever feel so assured that we can retire our shovels and just “go with the flow”? This is especially dangerous for those who claim to follow Him, we are individually accountable for what we say we believe and how we carry out those beliefs into our actions and practices. We can no more blame the church as we can our parents when we stand before Adonai,because He has promised that each of us will have had all we needed to find the Truth and apply it to our lives, backed by the very power of God because of Yeshua and His Work. In essence He has “installed” a “shovel app” into every single soul and much like our devices we’re so fond of, they can not be uninstalled unless you “root out” the device. In spiritual terms. .. unless we turn a complacent and blind eye to God, Himself. We are all called to be archeologists, digging, seeking and confirming the truth using only God’s Word both written and spoken directly to us as the bottom line for where we “settle”; i.e. how our lives, practices and behaviors take shape. Here is an opportunity for you to dig. An opportunity to: do all you can to present yourself to God as someone worthy of His approval, as a worker with no need to be ashamed, because He deals straightforwardly with the Word of the Truth.” (2 Tim. 2:15) Many versions of the Scripture put it as study to show yourself approved. May His Word rule and reign in our hearts and be reflected in all we do.